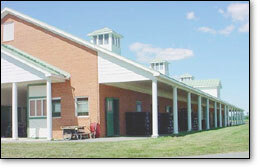 The AmericanSchool of Equine Dentistry promotes an integrated approach to equine health care. Our students become an essential part of the equine health care team by promoting equine health and natural balance from head to toe. 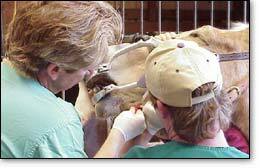 prevent pain due to the use of a bit, making it easier for the horse to be trained, and to provide other benefits. Why Do People Want To Attend The ASED? 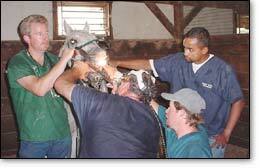 See article "Careers.com : Equine Dental Technician"
Dr. Hyde working with students.